If you have followed me for long, you know I have a thing about pineapples. Today was pineapple day in the studio. 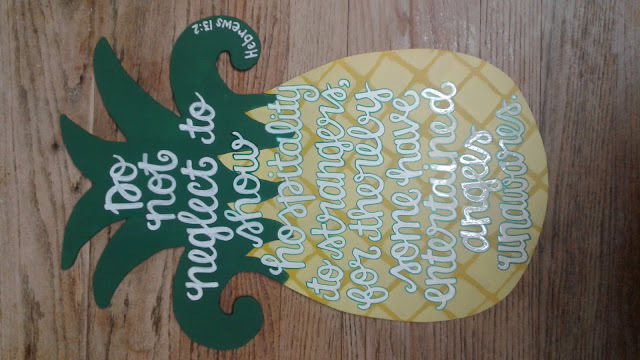 I have two canvases to put quotes on, but for now this is the only one I have ready to show. I thought I had it rotated!